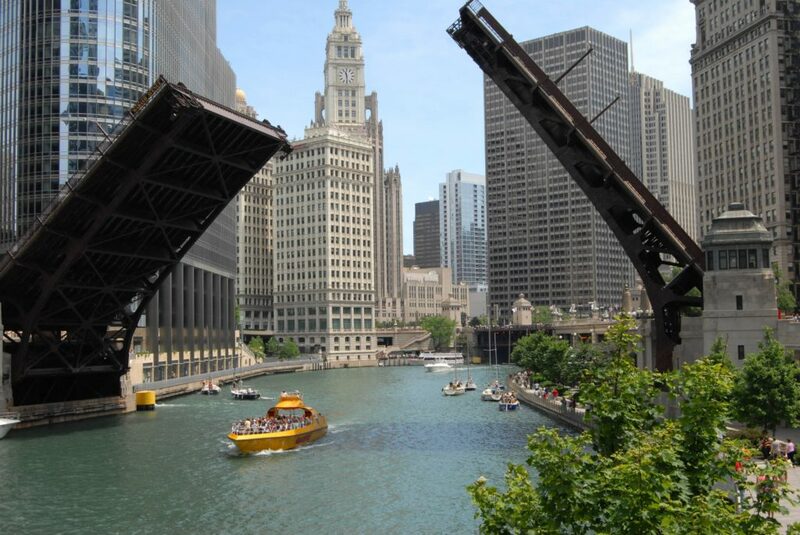 Groups looking for a little bit of everything often choose Chicago, IL as their destination of choice. Sweeping skyline, high-end shopping, vibrant culture, museums of every variety, and beautiful views of Lake Michigan? What’s not to love! If your high school club, college group, or senior citizen’s community is planning a streamlined group trip to The Windy City, we have a few suggestions on how to make the most of your quick trip. Consider arriving in the early-afternoon. As long as you were able to have lunch on the road you can dive right in and start exploring. 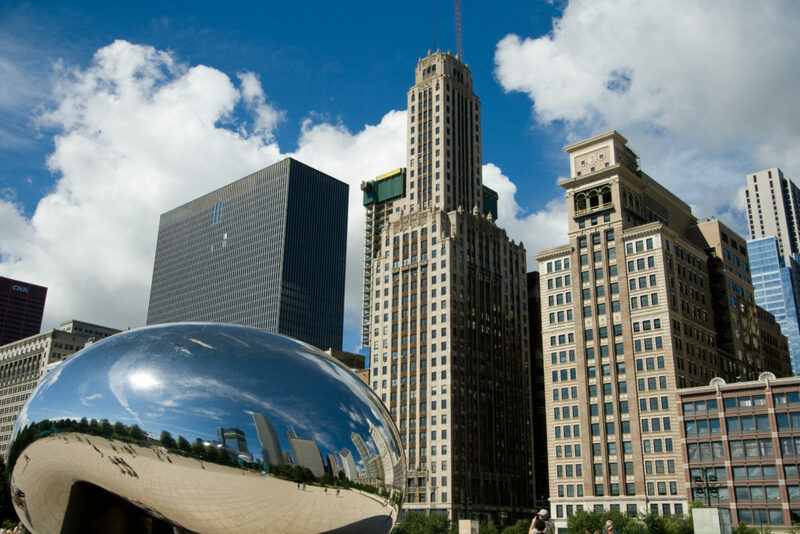 Head to The Loop for a bit of window shopping and then make your way to Millennium Park, home of the popular Cloud Gate (known to locals as “the bean”). The “Golden Hour” of early evening sun-light makes for perfect photo opp conditions so grab your iPhone or a camera and make sure to get a selfie next to this recognizable Chicago landmark. You’re probably a little tuckered out from the day’s travel so no harm hitting up an early dinner. Head to a local deep dish pizza joint and order a pie or two along with salads and breadsticks. Perhaps you’ll luck out and score an early-bird dining special! After a good night’s rest you’re probably in a good place to learn a little something this morning! Take advantage of your hotel’s continental breakfast and then make your way to The Field Museum. You won’t be short of educational content here, this is one of the largest natural history museums in the entire world. There are over 26 million biological and cultural artifacts for you to feast your eyes upon, allowing you to learn about planet Earth and it’s many inhabitants. You’ve been cooped up all day in The Field Museum so it’s time to head outside! We recommend exploring Navy Pier. You’ll get to hang out by the sea as well as enjoy a ton of great attractions — games and rides for the young (and young at heart) with plenty of shops and restaurants for those seeking a calmer afternoon. Formerly known as Sears Tower, Willis Tower is a classic Chicago landmark found in any depiction of the city’s skyline. The building has several glass observation ledges for visitors to venture out on and take in the views. The tower opens at 9 am (10 am in the off-season) so after grabbing a cup of joe and a pastry at a nearby cafe you can start your ascent. Why not grab lunch while you’re there? That is, as long as the heights haven’t upset your stomach too much! Check out the restaurant on the 99th floor if you want to dine with a view of the whole city. The Art Institute of Chicago is a very popular tourist destination, however, the crowds let up a little bit between 2 and 3 pm. So, once you’ve come down from the tower, and enjoyed your lunch, make your way to the art museum! You’ll want to dedicate a few hours to taking in all The Institute has to offer. Suffice it to say it houses some of the most amazing works of art you will ever lay eyes on, including a magnificent collection of Impressionist and Modern European pieces. Book in advance and you and your group could find yourselves on a late-evening Architecture Cruise. This is a really fun way to learn about the city and it’s unique architectural accomplishments as you mosey your way down the river. Each tour is given by docents of the Chicago Architecture Foundation and they really know their stuff! See the city in a completely new way, both through the eyes of these fantastic experts AND from the water at twilight. Finding the right group hotel for your 3 day adventure in Chicago is as easy as calling a Groople travel expert. We can leverage our group-purchasing power to secure outstanding deals for you and your travel companions.